“Applying a job at IKEA is easy”. It is true. There will be a in-site searching engine above the career portal, which you can find your dreaming job without striking a blow. Type your country, location, and work area(job type)to see the result. If a page turns out saying “Your search returns 0 matches”, then probably the position type has no openings currently. You need to refine the search range then. Some openings will be listed here, choose one you prefer to apply. Put your mouse on the position to see the brief of the job. Click on the blue “here” to know about more details if you are interested. 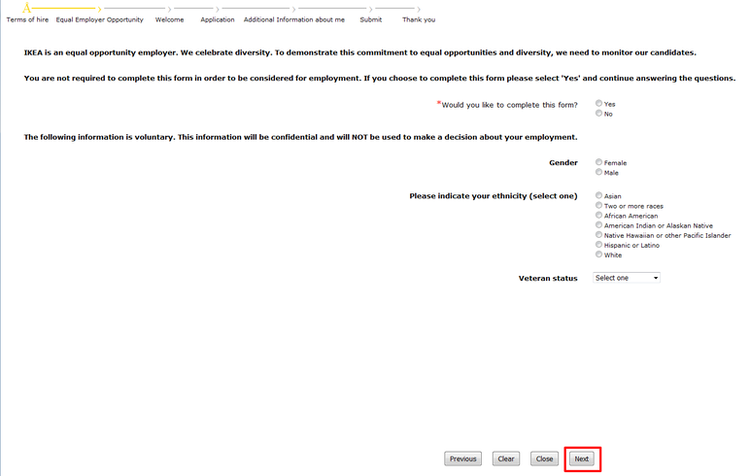 Before you scroll down to read details about the job, confirm some key information in the second red box that we marked, such as full time or part time. 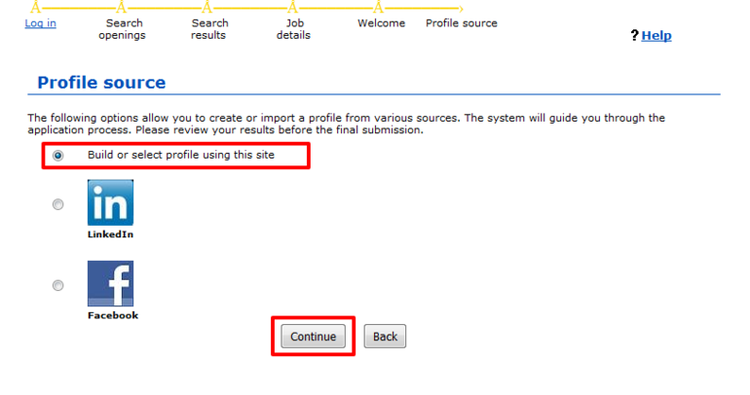 After that you can choose to apply for the job or add it to cart to review it later. 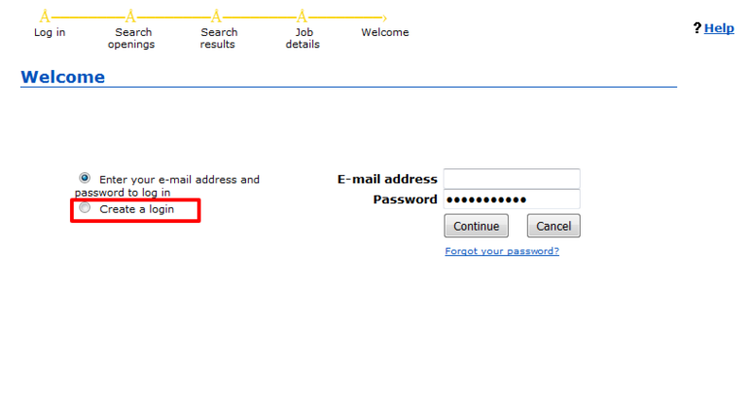 If this is the first time you apply a job on IKEA’s career portal, you have to register and log in. Click create login to finish registration circuit. There are three approaches provided to build your profile on this site. Determining which way to build the profile is up to you. We took the first one for example. A new page will skip out for you to start your remaining application. First of all you need to consent a terms of hire to continue. Next is a questionnaire about your gender and ethnicity, you can choose to answer these question or not. 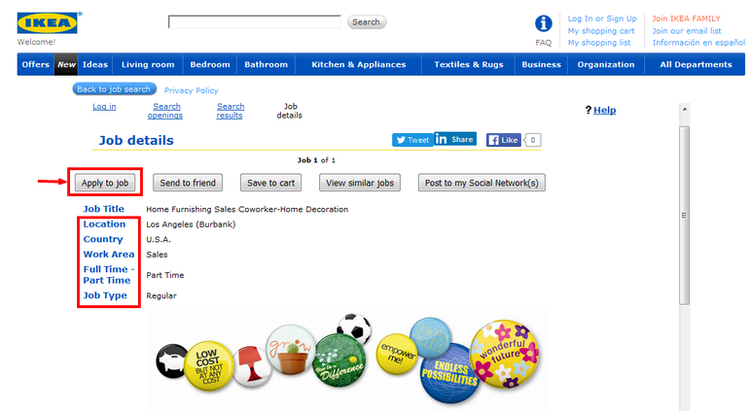 IKEA also inquires whether you are a previous employee. Here comes the big game. 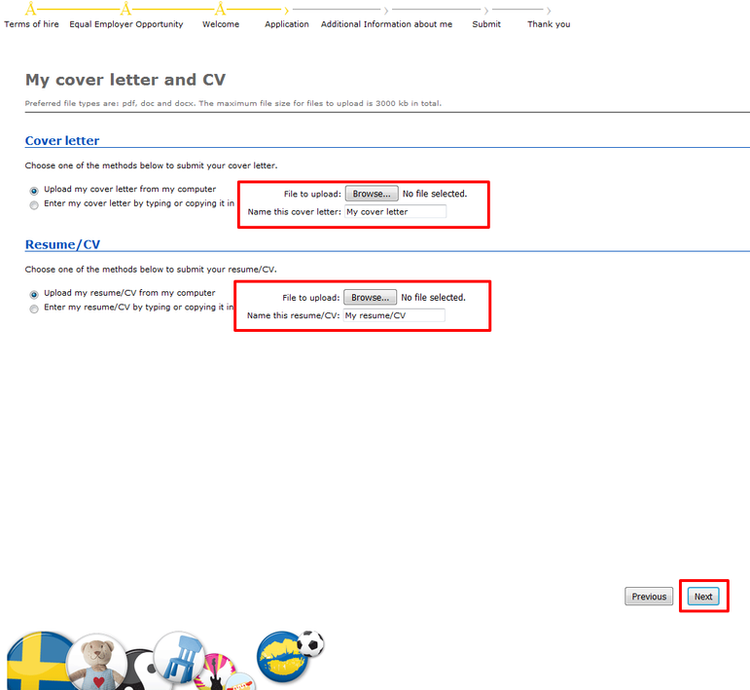 Fill the personal information form to move on to the upload CV page. IKEA thinks highly of an excellent cover letter. So attach one if you have. The following will be uploading attachments. You are about to enter additional information part after finishing those above. In Fact it’s a divided application form. Answer or pick an answer in the items marked with red asterisk to submit. 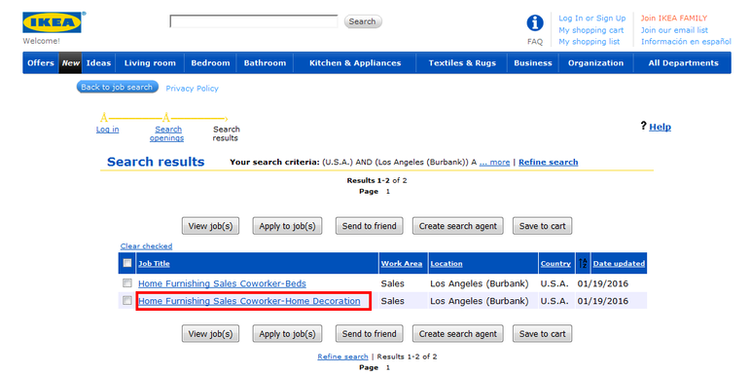 Click ikea.com/careers to apply for IKEA jobs online.